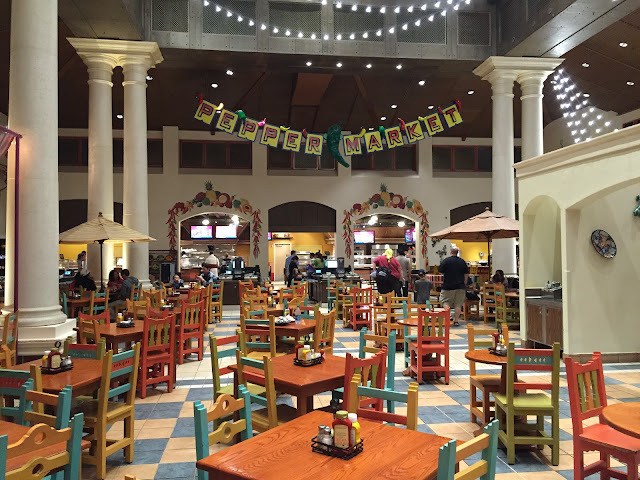 Coronado Springs is a very large moderate resort with great southwestern theming. We had dinner at the Pepper Market food court tonight, and enjoyed some very good Mexican cuisine. It was surprisingly quiet, which helped to make it an enjoyable experience.